Burners a plenty were spotted frequenting the roads, tracks, and cafes of The Shire and beyond last weekend. The Saturday Morning Dunc Bunch ammased in hefty numbers (almost 20) to be taken on amother magical mystery tour of the lanes and B-roads of the County. All roads lead to Troon where a charity funding cafe stop was laid on by Jo and Frances in aid of this week’s Prestwick Cycle Challenge. Thanks ladies ! 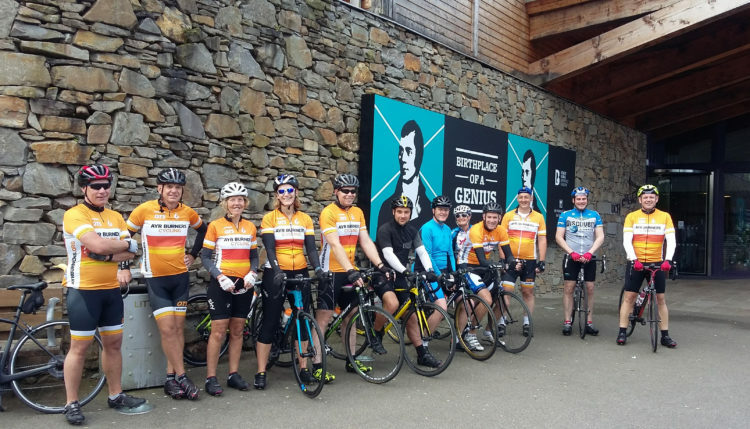 The allure of bacon rolls and coffee even (unsurprisingly) brought our very own Blair Wylie out of exile for a peddle. Further Westward Alan, Wullie, and Keith headed offshore onto the hallowed Isle of Arran for a ‘Figure of Eighter’ with the mandatory stop at the Velo Cafe included. 70 odd miles and over 5000 feet climbed for the lads. “I’m gubbed” says Wullie. 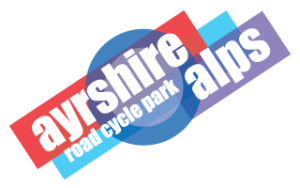 This week – Oval Pursuit on Thursday night and Sparks n Flames at the Troon Cycling Festival on Saturday.